When is a fix not a fix? When the process to come to a consensus has been set up for failure because everyone was not at the same table ‘and’ that appears to have been the plan all along. The Planning Unit for WRIA 1 – the Water Resource Inventory Area that includes the Nooksack River basin and Lake Whatcom – met on Jan. 23 in a last-minute attempt to approve a plan update as required by ESSB 6091 (now RCW 90.94). That law – the so called “Hirst Fix” law – was passed in Jan. 2018 and ended a building moratorium on projects using permit-exempt domestic groundwater wells. The law requires the Planning Unit to submit a plan update by Feb. 1, 2019 that identifies potential impacts of exempt well use, evidence-based conservation efforts, and projects to improve the health of the watershed. But the draft presented at the Jan. 23 meeting failed to reach consensus. The last decision that the Planning Unit approved was its Dec. 12, 2018, decision to package and index the work that has been done, and send a letter to Ecology and to legislators to inform them the plan update is not done but is still being worked on. The Council Natural Resources Committee decided to recommend to the full Council that they go along with the Planning Unit’s Dec. 12 decision. The vote was 3-0. 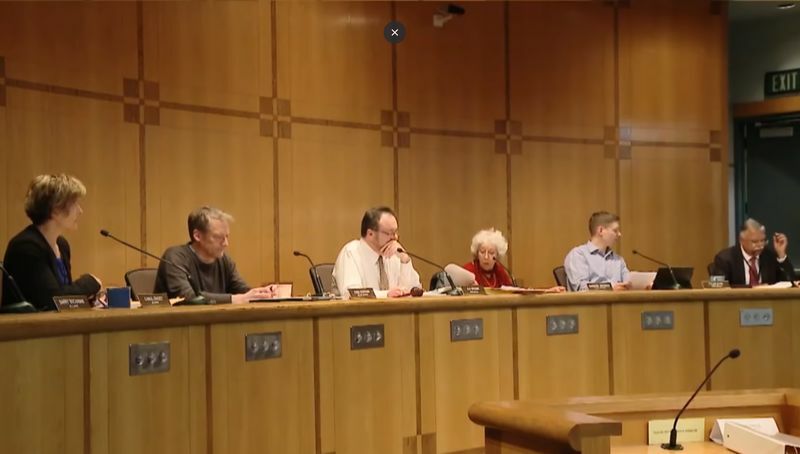 Council member Tyler Byrd said the plan update “process is absurd.” The WRIA 1 Planning Unit consists of 5 initiating governments – Whatcom County, Public Utility District No. 1, City of Bellingham, Lummi Nation, and Nooksack Tribe – as well as non-government caucuses. The law requires approvals by a majority of the caucuses and consensus of the initiating governments. But the City and the Tribes have refused to participate or attend any of the meetings, basically ensuring that the process would fail. “For one percent of the water, we took a year and couldn’t decide anything,” he said. Gary Stoyka from Public Works said now that Ecology’s deadline has passed the Watershed Management Plan Update will go into open rulemaking where anyone in the state can make comments. The Planning Unit has decided to keep working, and Ecology is likely to take their work into consideration. A representative from the Dept. of Ecology will meet with the Watershed Management Board at their Feb. 22, 2019, meeting to discuss how rulemaking at the state level will go. The WRIA 1 Planning Unit’s next meeting is scheduled for Feb. 27, 2019.